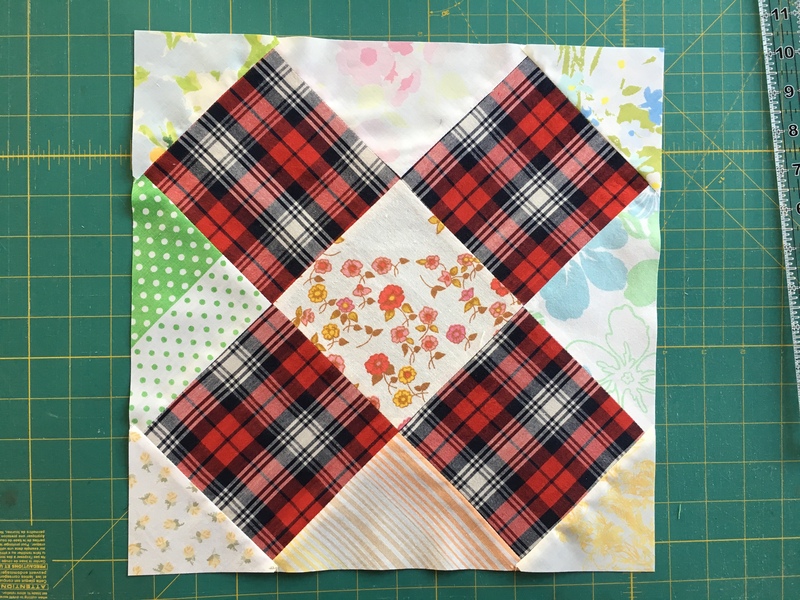 It seems that this quilt was pieced using rectangles, but it also seems that would be a nightmare to machine (or hand) piece. So my version used squares. Simple enough. Originally, the plan was to make this a pillow case for an oversized pillow I have on my bed, but then I realized it would not match anything else in the room. Not willing to cut and add more squares (once I’m done with a design, I’m done) I added a border to it. Unfortunately I ran out of the linen I used for the central part, so if you look hard, you might be able to see that the border linen is a bit darker. But i don’t fret about things like that. I usually like all-over quilting designs. I am not crazy when different areas of the quilt are quilted with different designs. But I did it here, it just seemed to fit. So alongside seams in the middle part, and a “spiral” around the border. I am not sure what I will do with this quilt. 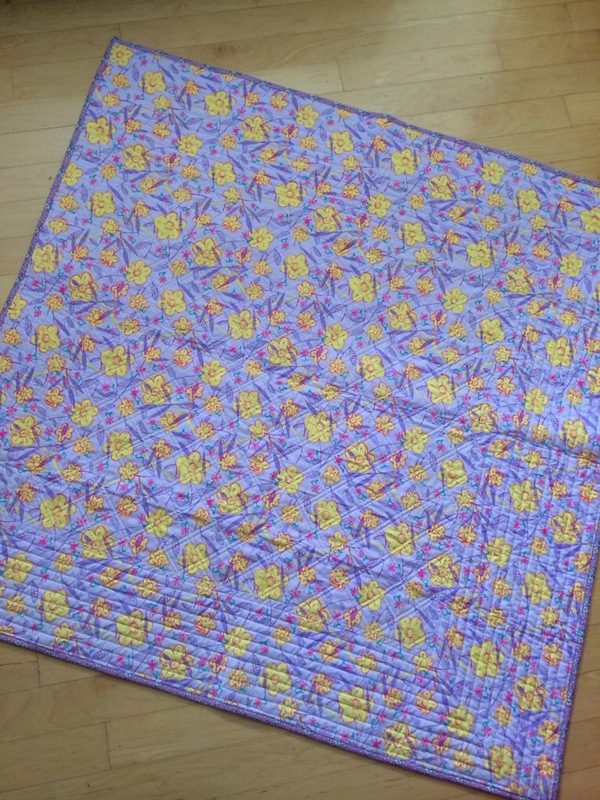 Because of all the linen (the purple linen used on the border is quite thin, which is why I quilted over it quite densely as you can see) I don’t think this quilt will be able to withstand frequent washes. But it’s not really a wall hanging. So? This is the back. It was really hard to take a picture, and the color is not quite right, The background is much less blue. It is a nice purple, similar to the colors in the top. 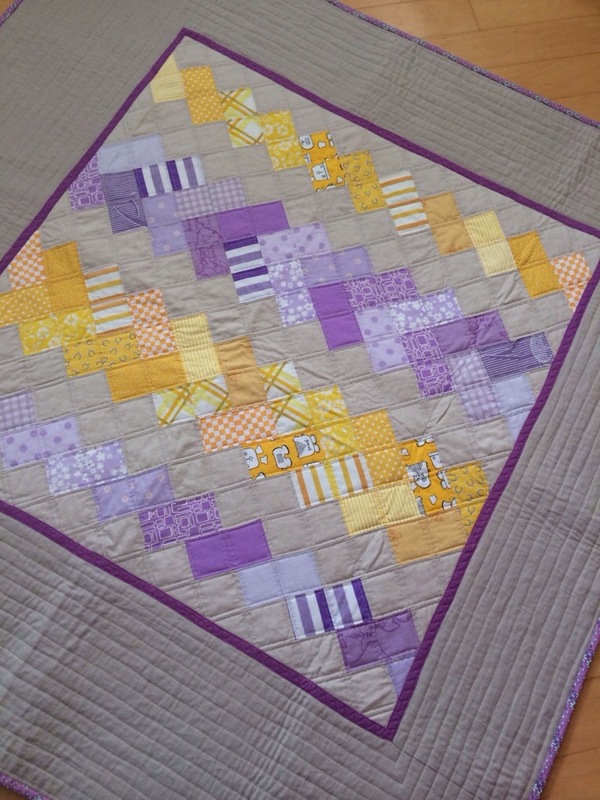 Oh, did I say I quite like this one (unlike the Baby Quilt #2). Finished size: about 48 in square. 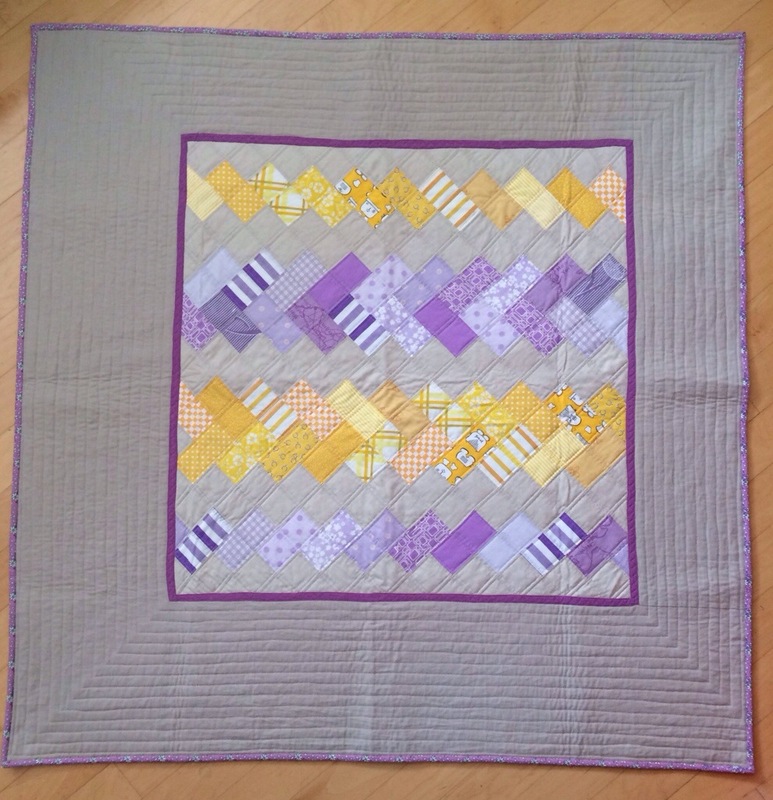 This entry was posted in 2014, finished, quilting and tagged Herringbone Variation on March 4, 2014 by flekka.